Folding your clothes which are freshly out of the laundry is a crucial aspect to maintain their crispness and texture. Inefficient folding not only destroys the clothing material, but it also wastes a lot of space and creates some serious chaos and disarrangement in your closets, drawers and wardrobe. Not to forget, the easily discernible wrinkles can break your style statement into tatters. A man’s appearance speaks a lot about his personality. 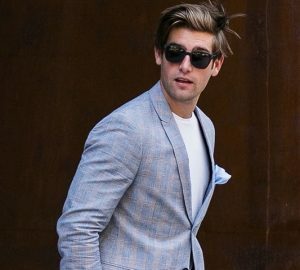 Therefore, to avoid all this we have come up with some smart folding hacks and techniques which will ensure that your clothes do not bear the brunt of your callous attitude. 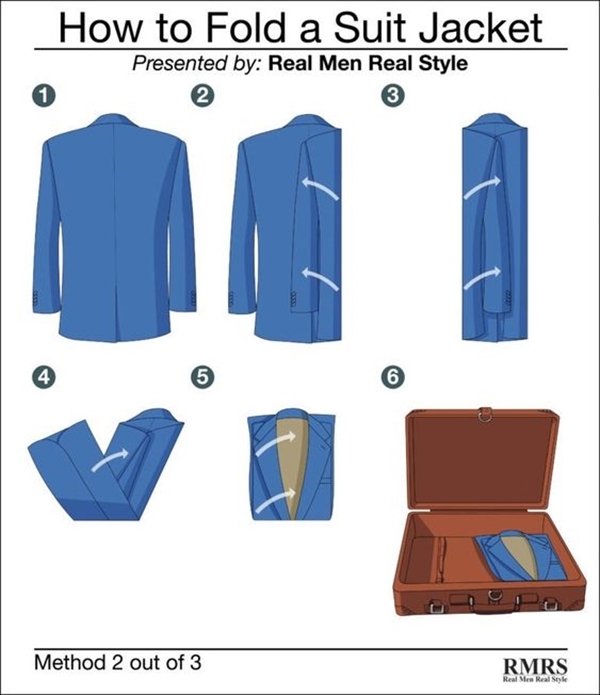 Therefore, here’s a guide on how to fold clothes : clever tutorials for men you need to look fresh and stylish in your chosen attire. 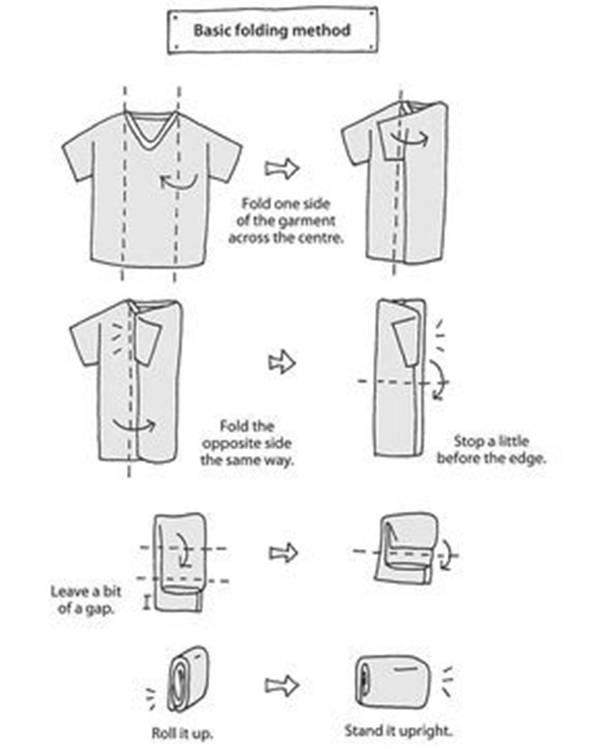 Formal shirts top the list of how to fold clothes : clever tutorials for men. Generally, people go with the option of hanging the formal shirt in their closets with the help of hangers. While it is tempting to do so, folding is a much better approach to storing those crisp white shirts in your closets. Hanged clothes eventually gain some wrinkles and also occupy a lot of precious wardrobe space. Furthermore, you can keep your hanging shirts in a drawer. To avoid all the downsides associated with hanging, we suggest you fold your formal shirts. Button your shirt down before folding to ensure that your shirt remains wrinkle-less. 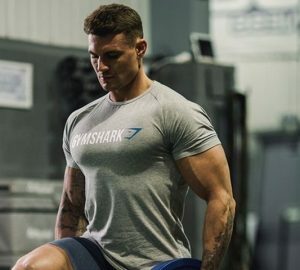 Place your shirt face down on a flat surface. 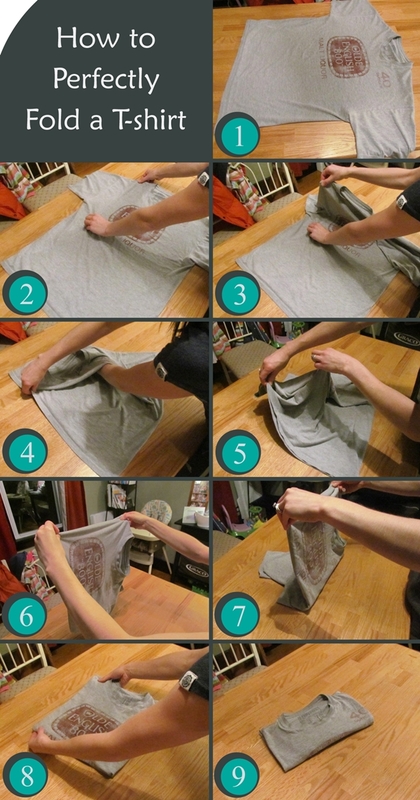 After folding it over the shirt, fold it downwards. Fold over the other sleeve on the first sleeve. Fold the second sleeve downwards. 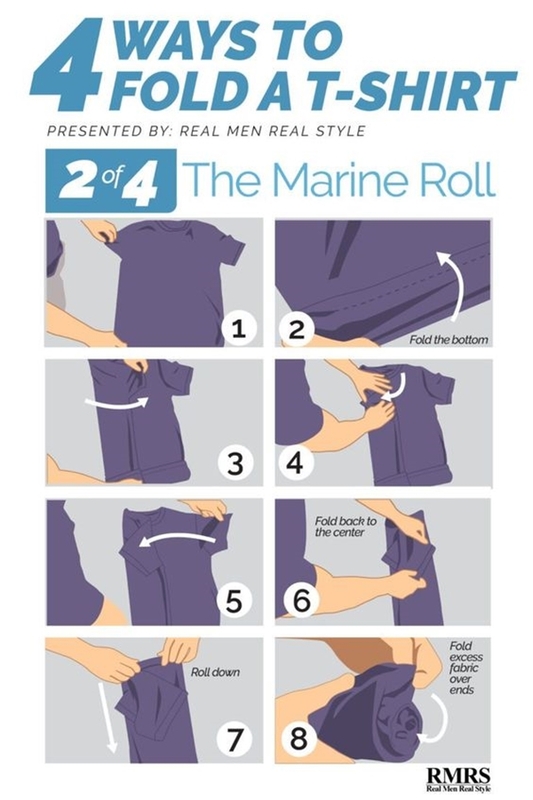 Fold the shirt at the waist position. Remove all the creases by running your hand over the shirt. 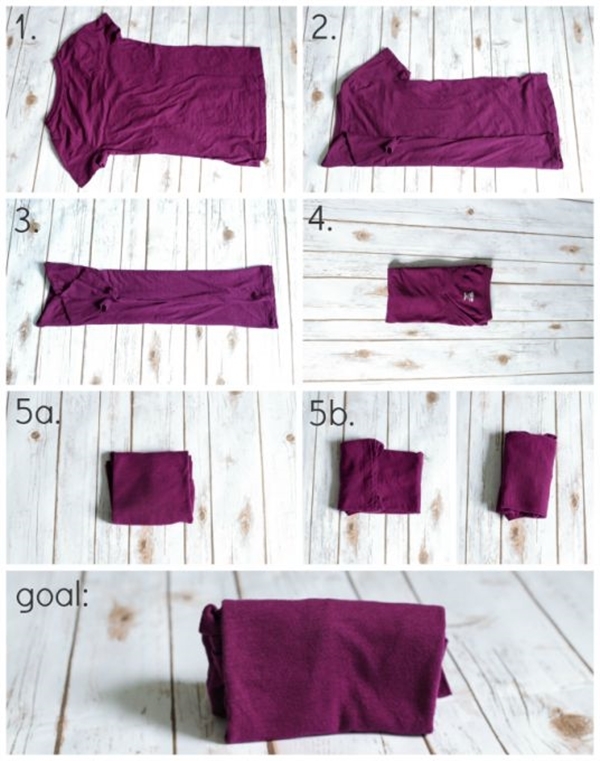 Scientists at the University of California, Berkeley have come up with the most optimum method for folding your T-shirt. They had programmed this to teach robots how to fold a T-shirt in the most efficient manner to save up on closet space. The steps have been outlined below. 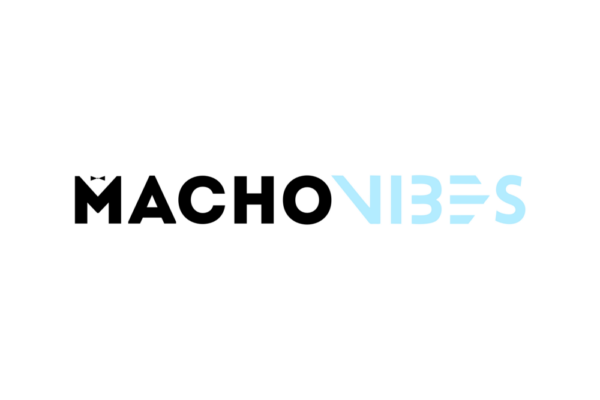 Look dashing in cool shorts outfits for men and carry any shorts denim or cotton with class. 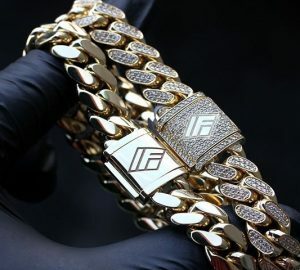 Fold one sleeve at its half. 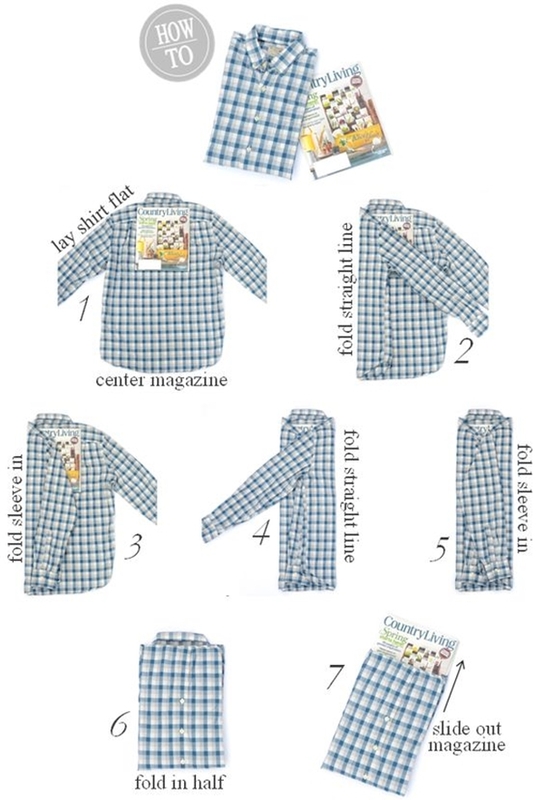 Fold the half sleeved side towards the shirt. 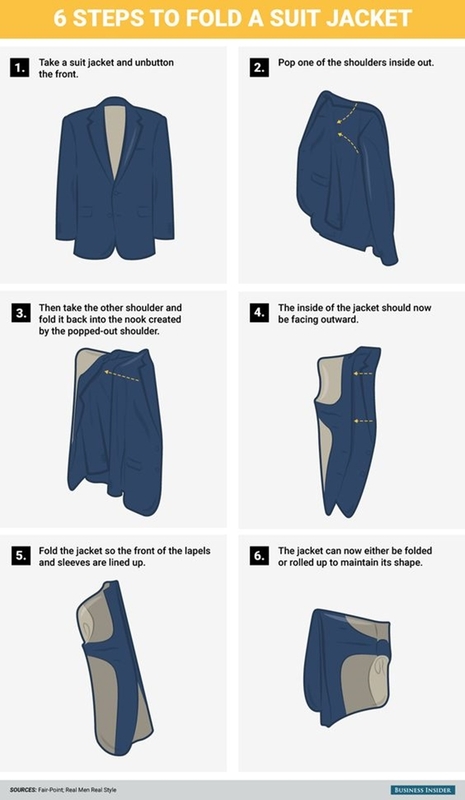 Fold the side with the half sleeved at the cusp of the collar. Do the above three steps for the other side. 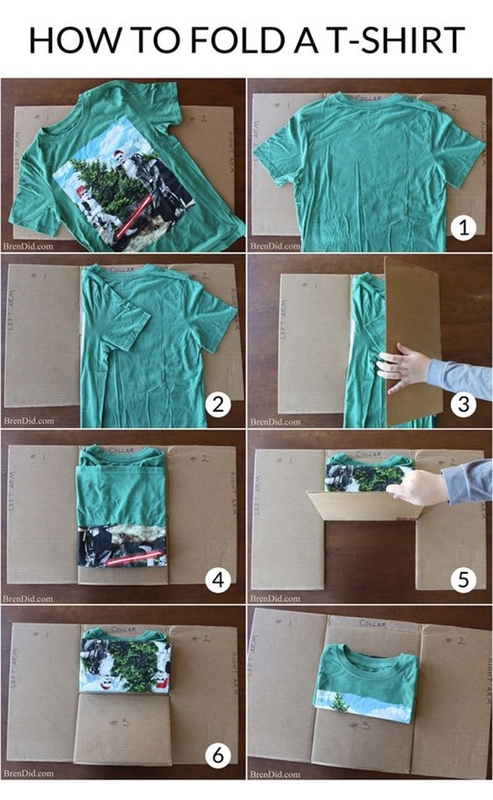 Fold the shirt at the horizontal half to achieve a perfect square shape. 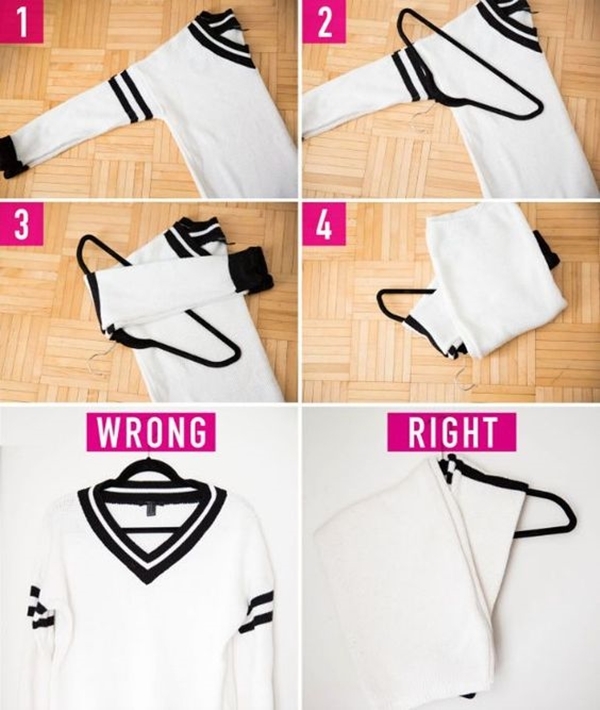 Hanging sweaters is a bad idea because sweaters tend to droop and lose their stiffness upon hanging due to their bulkiness. Folding them ensures that their shape is maintained and prevents unnecessary distortion. 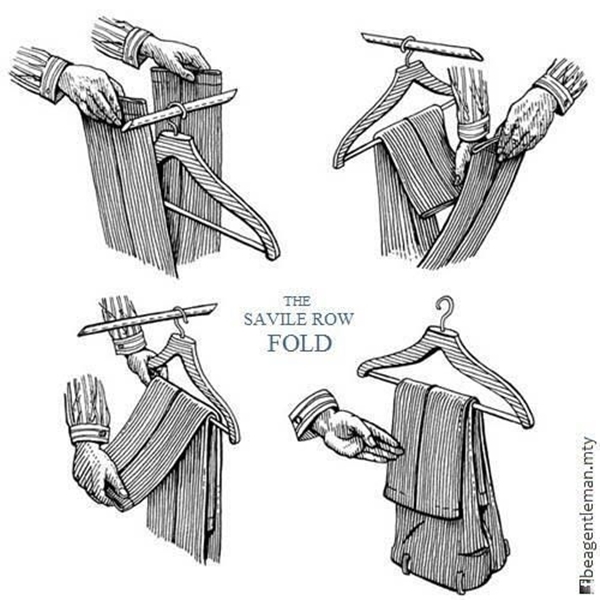 A lot of closet space is also saved when going for the folding technique. Don’t let that beer pooch pop out of your shirt for air, dress smartly even if you have a big beer belly pooping out! Fold one sleeve in across the chest of the sweater. Fold the other sleeve on the first sleeve. 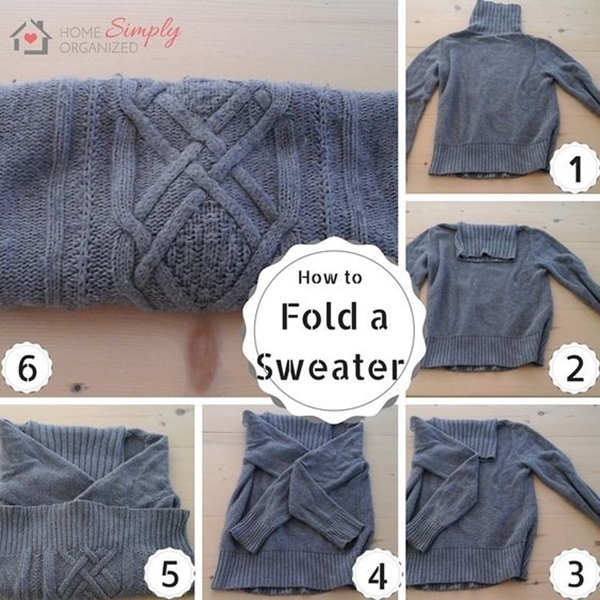 Fold the bottom half of the sweater across the horizontal upon the top half of the sweater. 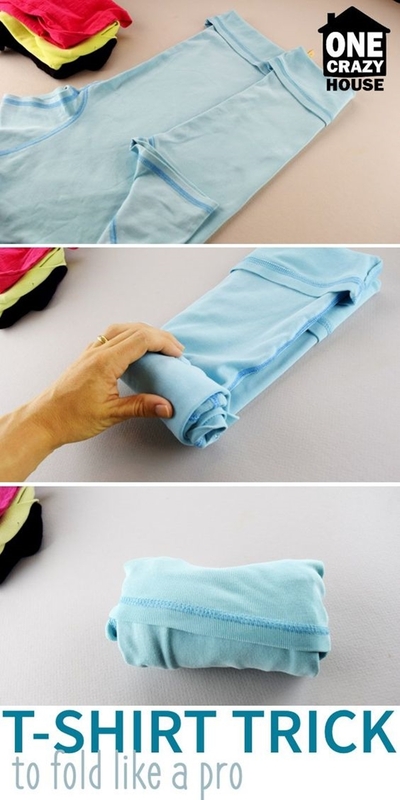 Apply another fold to further reduce the size and save up on closet space. Trousers and jeans tend to take up a lot of space due to their length. Folding them saves a lot of closet space and keeps your wardrobe organized at all times. 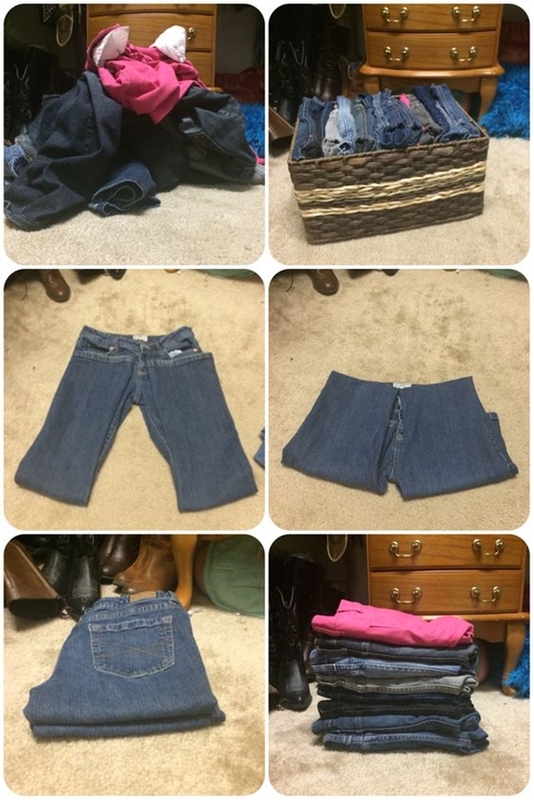 The steps for folding your jeans have been mentioned below. 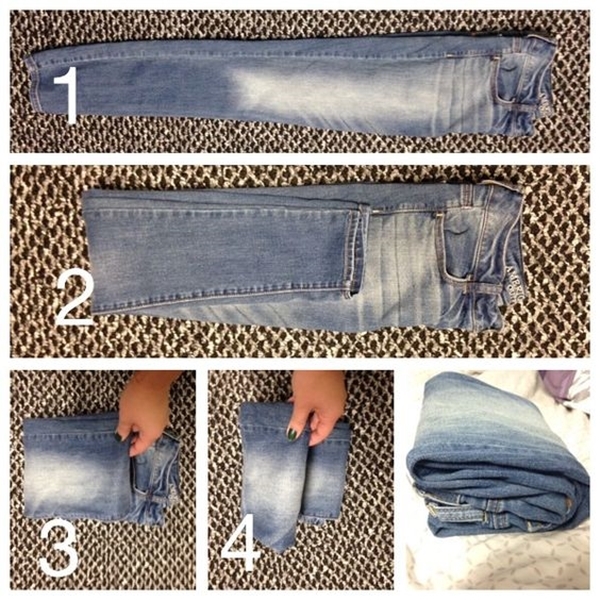 Smoothen out the pockets of your jeans to ensure a plain surface throughout the trousers or the jeans. 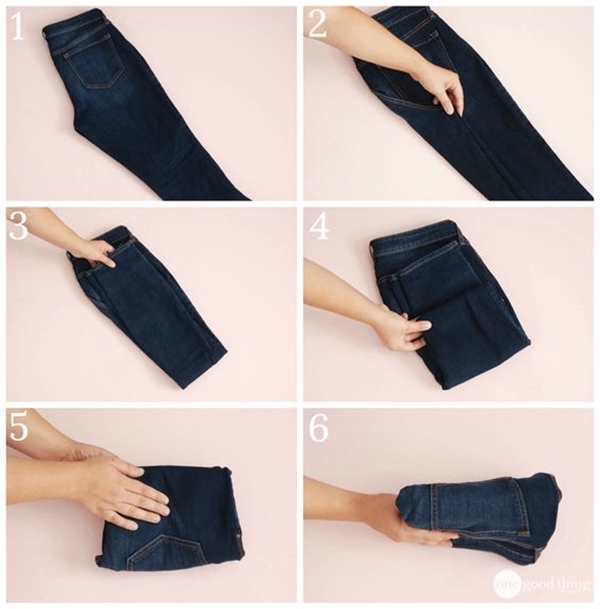 Fold one leg of the jeans/trousers over the other. 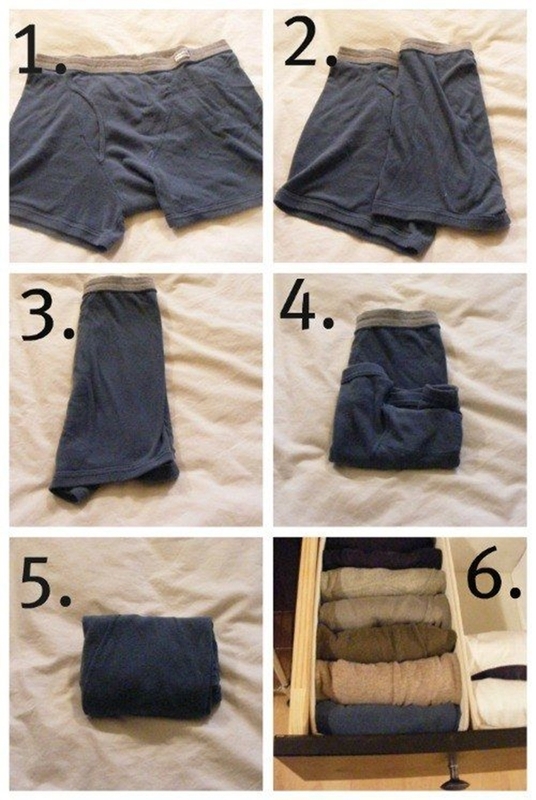 Fold the pants in half or in thirds depending upon the closet space that you want to save. 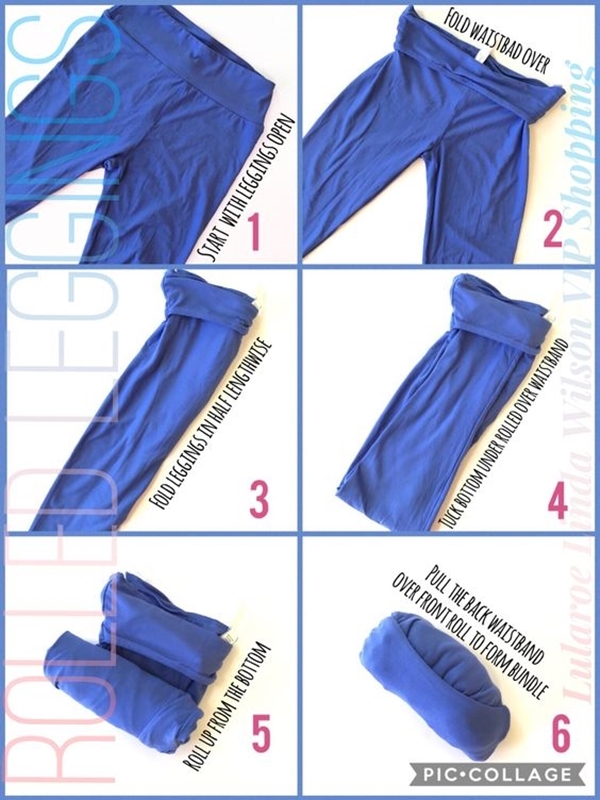 Run your hands over the pants to prevent the formation of creases. 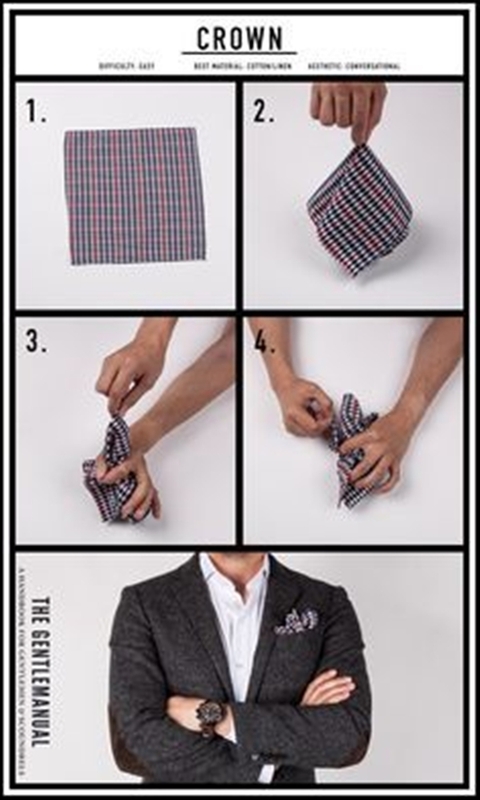 Last on the list of how to fold clothes : clever tutorials for men. This technique has been proposed by a Japanese tidying expert. 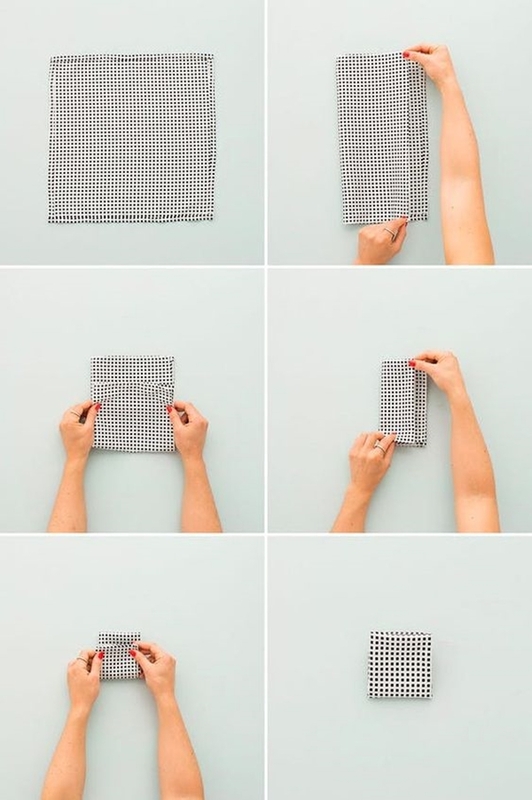 The essence of this technique is to save up on as much space as possible while keeping your clothes neat, tidy and wrinkle-free at all times. 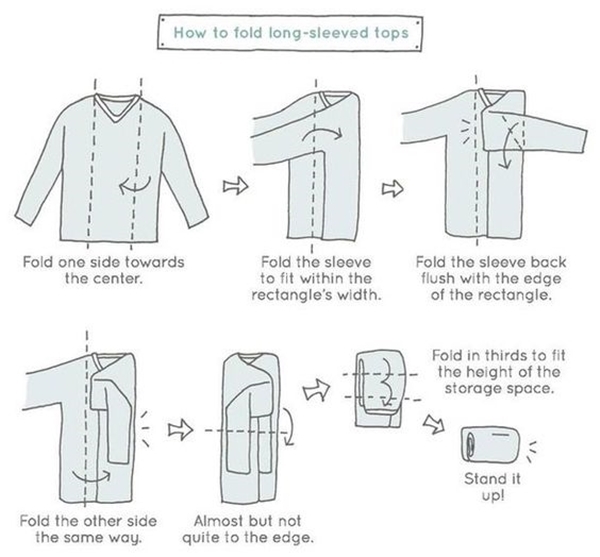 Travelling is easier when you know the easy folding techniques. It just makes so much space in the suitcase. 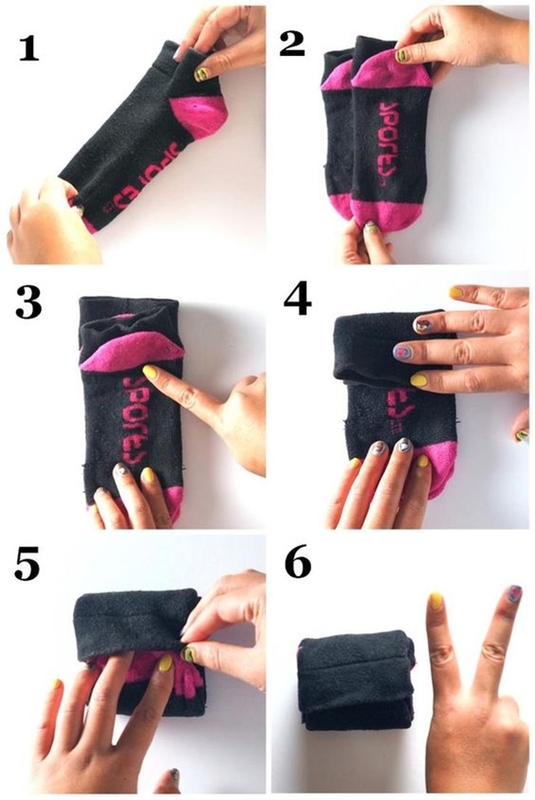 Lay one sock on the top of the other sock. Apply a fold in the inward direction at the toe. 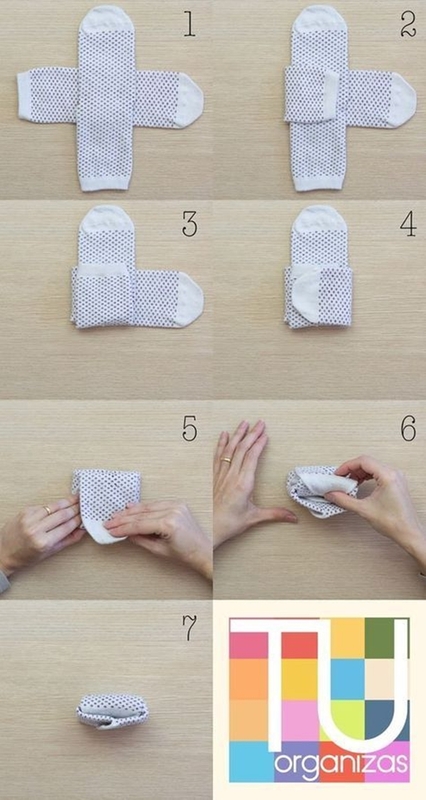 Fold the sock at the centre. 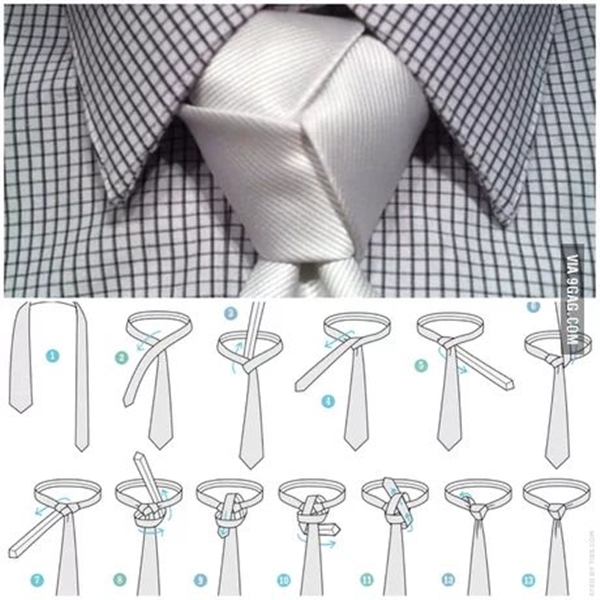 Make it upright by folding it at the half. 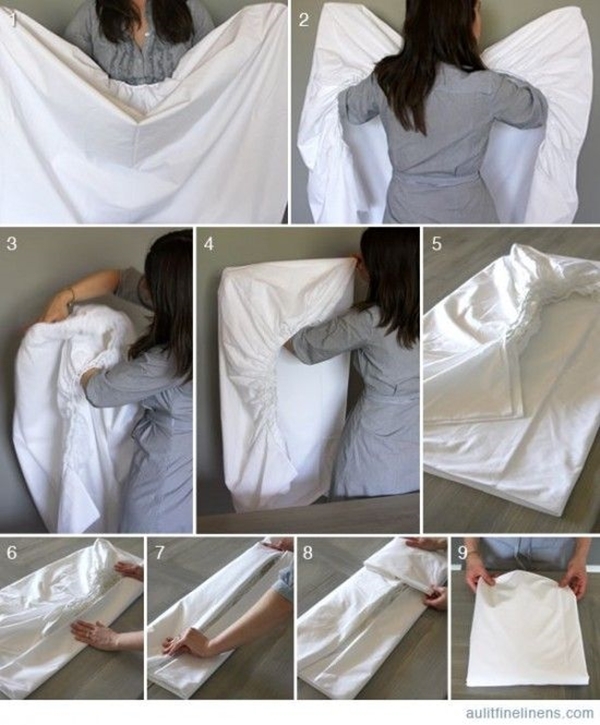 Lay the underwear down onto a flat surface. 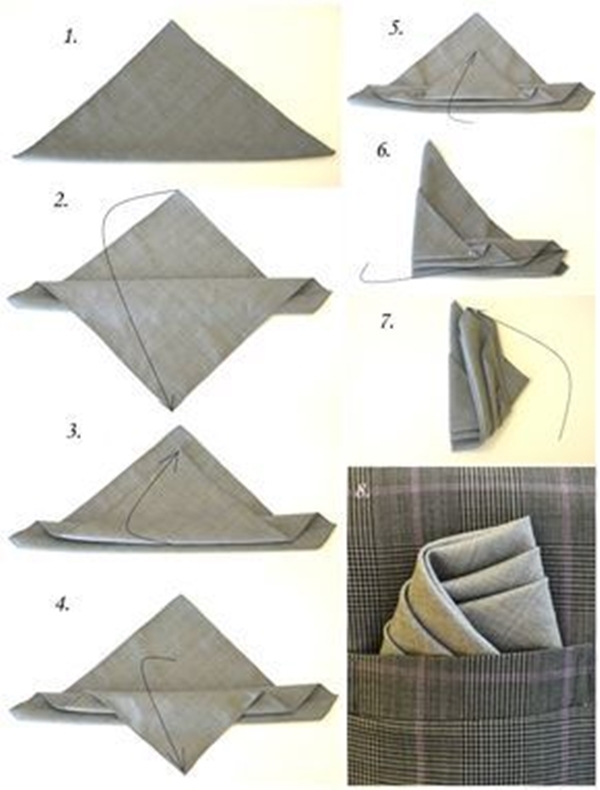 Fold the sides in an inward manner. 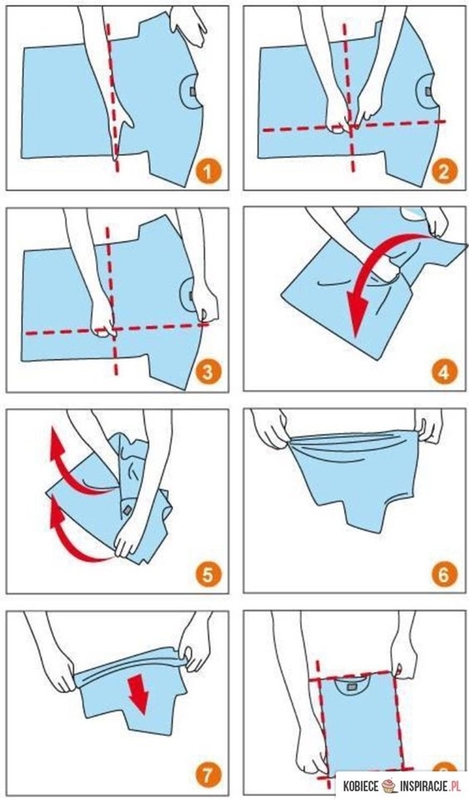 Fold over at the crotch to bring the underwear in an upright position. 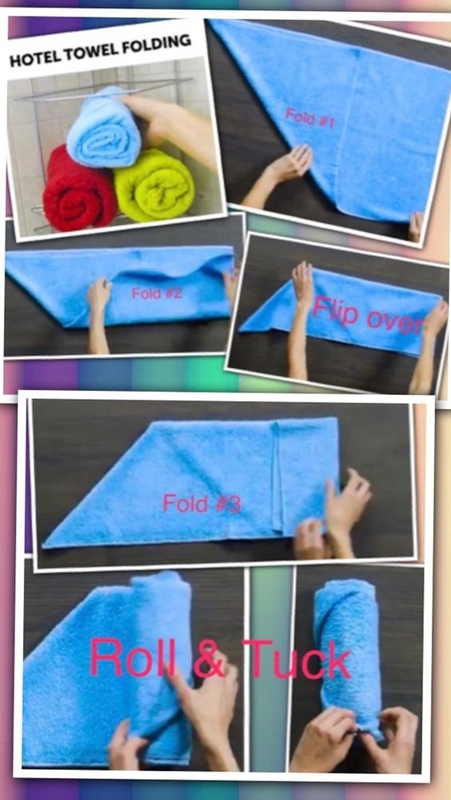 Become an expert and impress your ladies with your clothes folding techniques with these how to fold clothes : clever tutorials for men. Pack all your travel essential outfits now that you’re an expert in folding clothes. Check out the must carry travel outfits.